Troops have begun to deploy to the U.S. border with Mexico to meet a caravan of immigrants making its way north primarily by foot. As of Tuesday, the caravan was about 870 miles south of Brownsville, Tex., a 10-day walk. 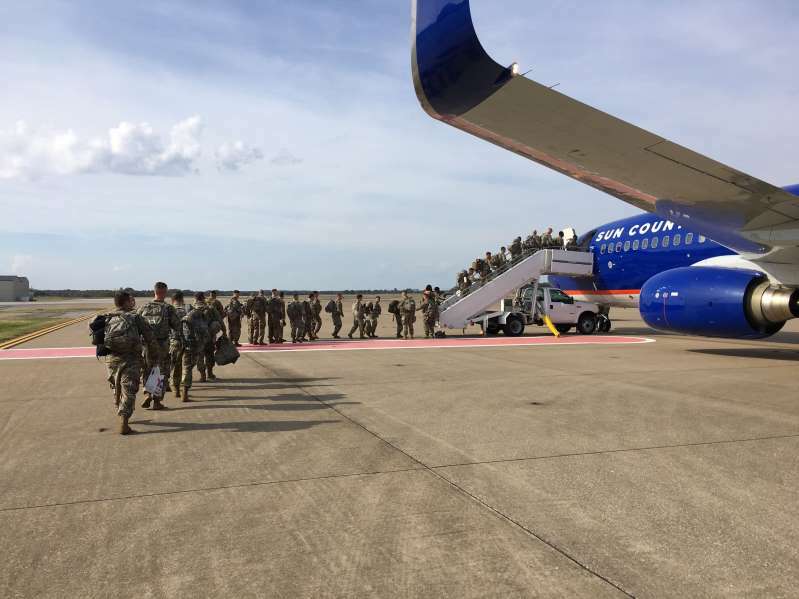 American armed forces, traveling by plane, will probably arrive well before the caravan.President Trump announced this week, with midterms looming, that the initial deployment would include a little more than 5,000 troops. In a conversation with reporters Wednesday evening, though, he floated a higher number: Maybe 10,000. Maybe even 15,000. In the abstract, that seems like a fairly subtle distinction. If you’re going to send 5,000 troops to however many of the estimated 4,000 members of the caravan it to the border, why not just turn that dial up to 11? Trump pledged a “wall of people” barring entry to the United States. Figure that each person is about two feet wide, and 5,000 troops standing covers only a bit less than two miles. Put 15,000 people down there, and you’ve got a 5.7-mile human wall. Much more effective, at least as a wall.